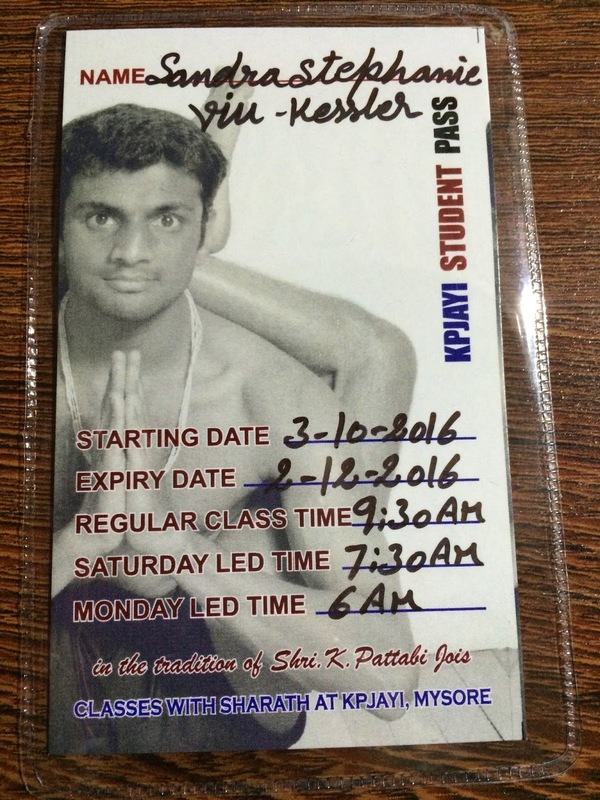 Yesterday I went for my registration at the KPJAYI, and unfortunately I am scheduled for the 9.30 AM practice.... I should have registered earlier but I was not there so basically I have no choice. I am used to practice early morning so until 9.30 AM I have absolutely no clue how I will manage. This morning I woke up at 3.30 AM then start my practice by 4.45 AM and it was awesome. I added some extra Vinyasa as the air is cooler I was in need of a good sweat, which did not really happen but at least I was not cold at all. Tomorrow I am supposed to go for a led practice at 7.30 AM and Tuesday will be also a led practice. 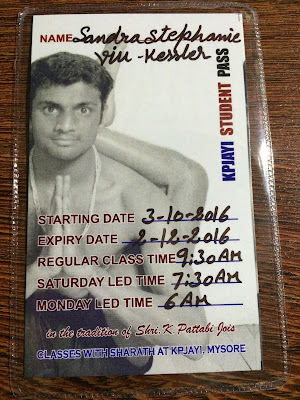 Wednesday start the Mysore style so 9.30 AM. I do believe that I will have a baby practice early morning before going to the shala, then probably a light breakfast by 6.00 AM. I have no clue how it will be. I suppose that the 9.30 AM practice will be packed and there will be probably a lineup at the door, so maybe my practice will start by 10.00 AM if I can find a place into the shala.... it is definitely the worst time for any practice.... But what can I do? At least I can practice with Sharat for the next two months and hopefully at one point I will be able to come and practice earlier. Anyway my morning practice was awesome, I started with 30 minutes of pranayama and did the all series without skipping any asana. I have added few full vinyasa before the Janu Shirshasana series, Marychasana series, Navasana, Ubbaya Padanghustasana and it was great.